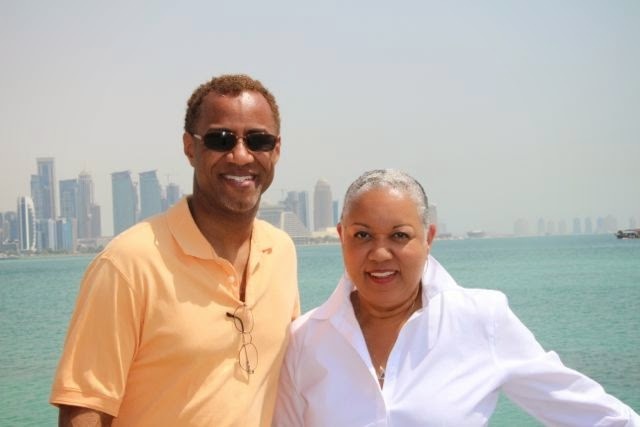 We left the hotel this morning for a day of sightseeing of attractions in Doha, Qatar. 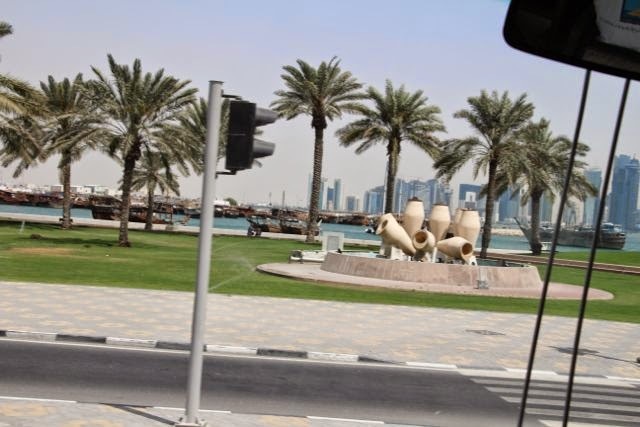 Our first stop was a point on the waterfront where tourists could take photos of the "new city" of Doha. The skyline was as full as many larger cities in the United States. 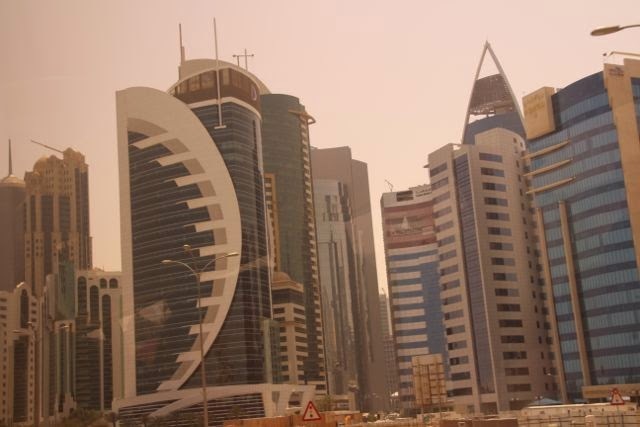 Everyone got off of the buses to take advantage of the beautiful view of the Doha Skyline. The skyline seen in the attached photos is referred to as the new city. Every skyscraper shown was erected since the year 2000. 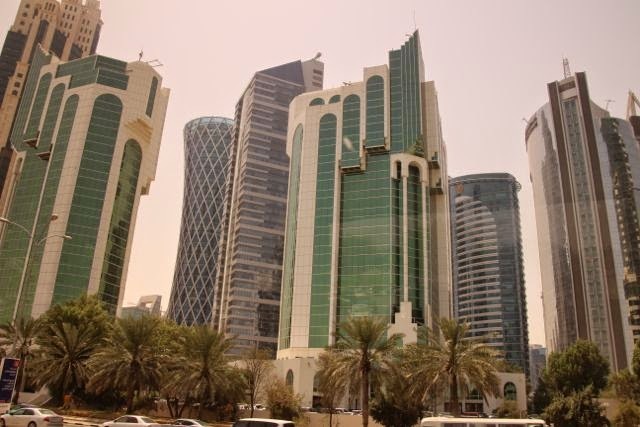 At the end of the construction project in 2018, over 200 skyscrapers will make up the Doha skyline. Each building is unique and designed by a different world-famous architect. 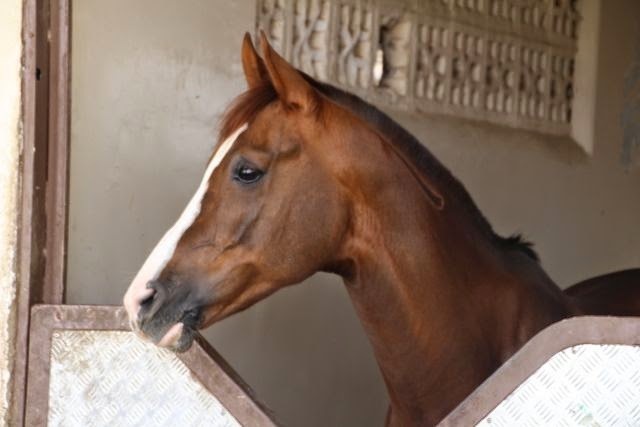 After the waterfront, we travelled the Qatar Horse-riding and Equestrian Club. This was the site of the 2006 Asian Olympics. 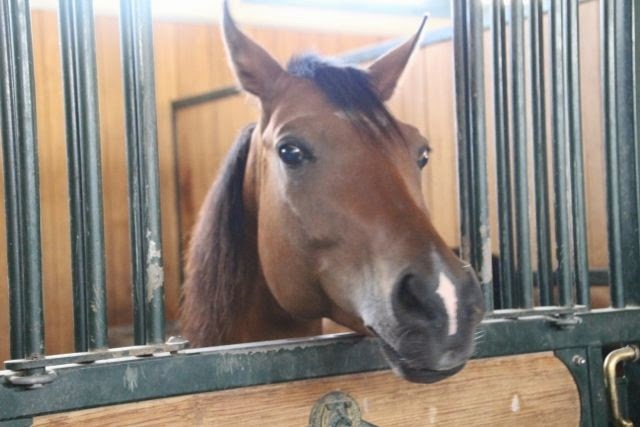 The facility was enormous, with stables, event courses, offices and equestrian arenas. 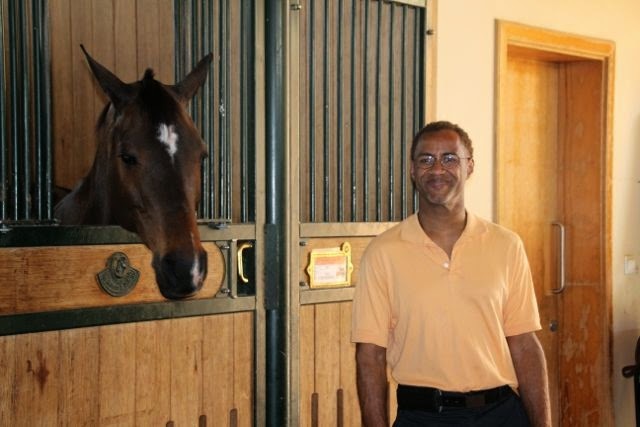 Although we were quite close to the horses, we were careful not to touch the animals, as they may carry disease. The facility could accommodate as many as 500 horses. 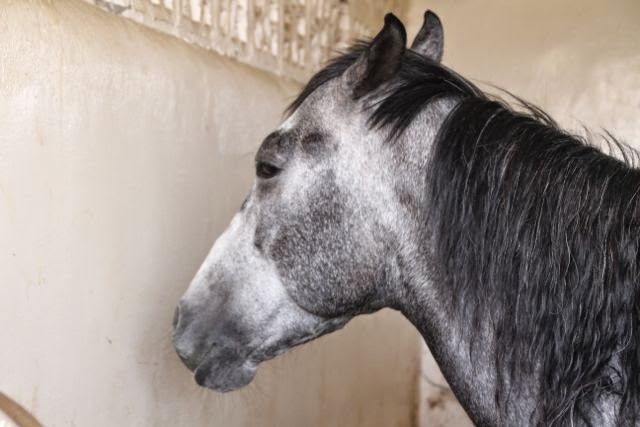 We saw both European as well as Arabian Horses. Our next stop was the Museum of Islamic Art. This museum has the largest collection of Islamic Art in the Middle East. The museum boast a large collection of Islamic Art from Islamic nations around the world, including Saudi Arabia, India, Iran, Iraq, Oman, Qatar to mention a few countries. The architecture of the museum was perhaps the most interesting part of the visit for most, as no one on the tour studied or worshiped the Quoran. We then rode to the Qatar Cultural Village for lunch. This cultural village is land that was reclaimed (i.e. land that was under water originally, but built back up to be above sea-level and suitable for construction). Qatar Cultural Village, built on area that was originally underwater is now where new hotels, restaurants and performing Arts spaces are built and will be built. Out group had the choice of several different types of cuisine for our lunch including Italian, French, Egyptian, or Italian. 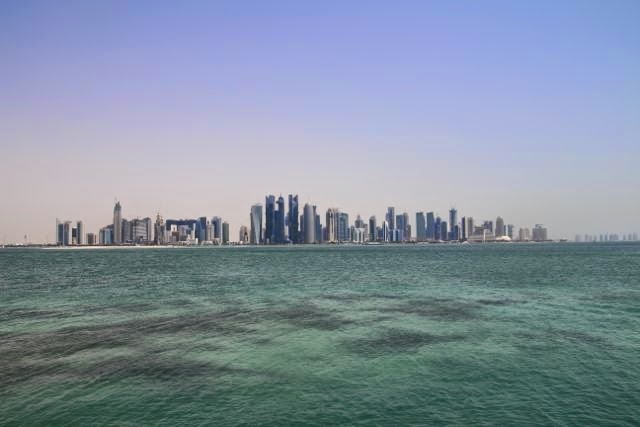 We then rode to the Pearl of Qatar, another man-made island that originally was under water, where new apartment buildings, luxury hotels, and additional restaurants are in the process of being built. This project will be completed in 2016. A common theme today in Doha was that of new building and construction. Everywhere one looks, one sees new construction. The "new city" boasts buildings that were only begun to be built around the year 2000. Prior to 2000 the skyline in theses photos did not exist. 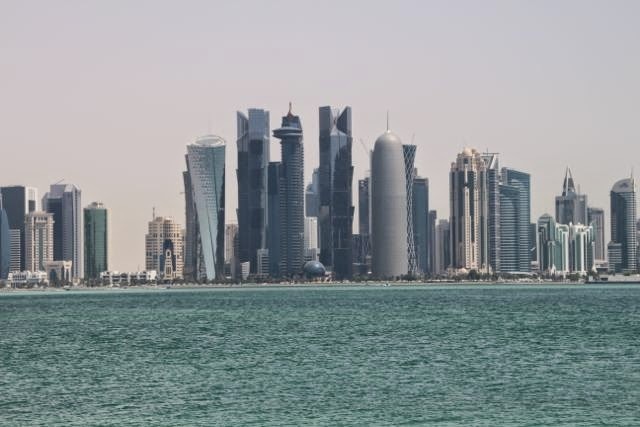 Future plans include a brand new above and below ground metro system that is already under construction with plans to be complete in 2018 with bridges to connect Old Doha to New Doha and connect to the Pearl of Qatar Island. One new airport will be constructed to support this new infrastructure. After our tour of Doha we visited the shopping district of Old Doha called the Old Souq os Souq Waqif. At 7PM we ate dinner in the the district at very fine hotel called Al Rasha Boutique. Once again we ate local cuisine in a buffet fashion, which allowed us all to try several new dishes. On the way home, we stopped again to look at the skyline at night. Quite a site! 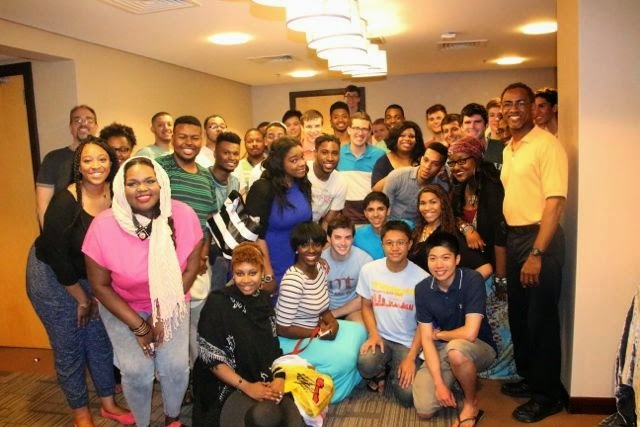 Upon return to the hotel, we met up with the University of Pennsylvania Glee club arrived this morning, staying in our hotel, that was also touring the Middle East. We briefly exchanged a song or two, but Morgan had to get to our rooms for a 5AM departure. Another full day in Qatar, but very rewarding.